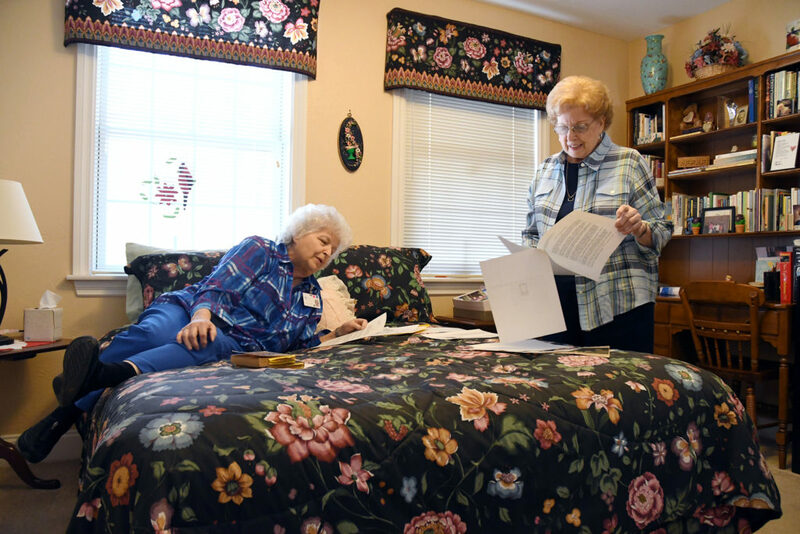 Longtime volunteer of 30+ years, Peggy Lichtenfels and Windber Hospice co-founder, Frankie Bock, look over packets and booklets about hospice care. Lichtenfels and Bock are sisters. For some, hospice is perceived as a place loved ones are sent to die. 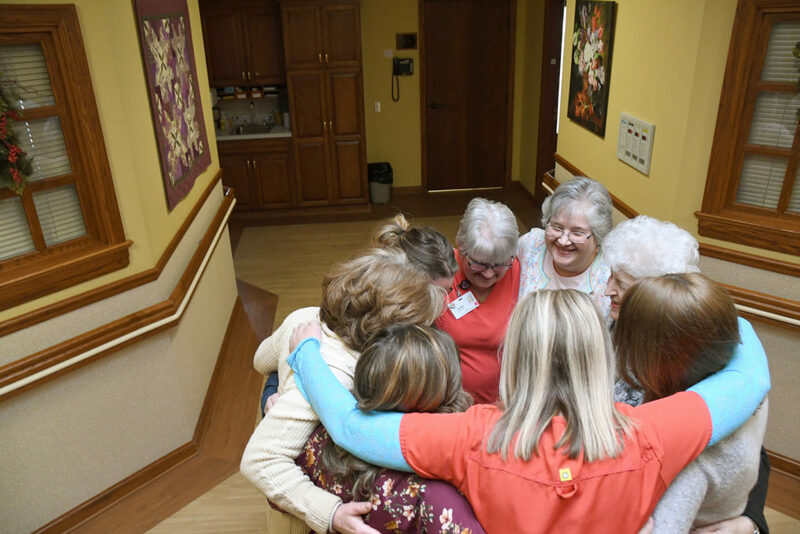 Windber Hospice in Windber, Pa., about 15 minutes outside of Johnstown, is on a mission to help patients pass easily with compassion. 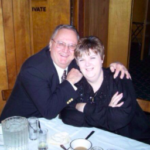 Throughout childhood, my grandmother, Peggy Lichtenfels, has always spoken highly of her work in hospice. Growing up, I remember her calling the hospice and saying, “Who died today?” I never understood what she was doing until I got older. My grandma is the volunteer coordinator, so it was her job to call and ask how many people had died so she could arrange to get a “hospice rose.” This photo series explores death as a celebration, and the role a hospice plays in this journey. Every Tuesday morning, doctors, pharmacists, home care nurses, staff members, and volunteer coordinators meet for Interdisciplinary Team meetings. After, everyone comes together for a prayer circle and group hug. Rev. 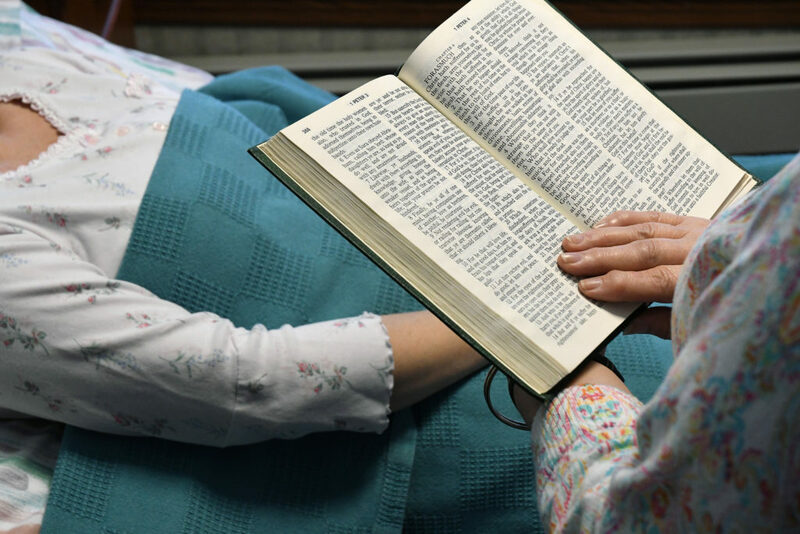 Betsy Statler reads The First Letter of Peter from the New Testament to a patient during her rounds at the Palliative Care Unit. Rev. Statler is the Chan Soon-Shiong Medical Center chaplain. 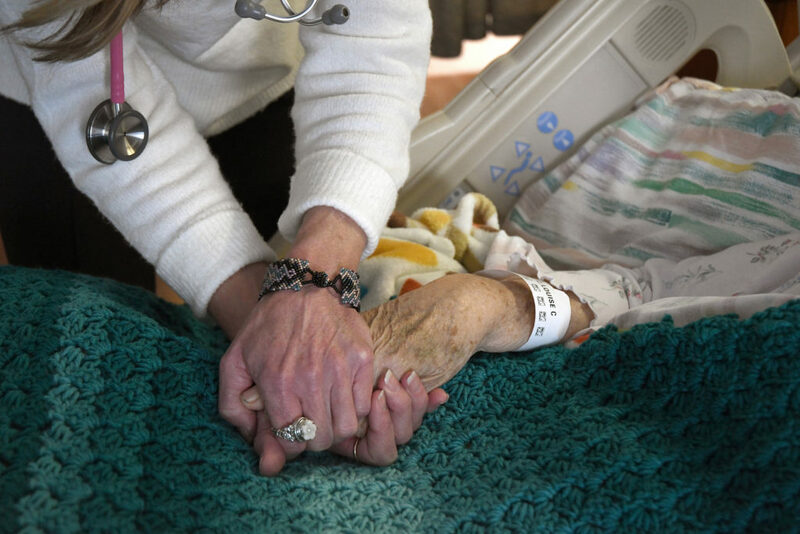 Doctor Kelly Warshel holds a patient’s hand as an act of comfort. 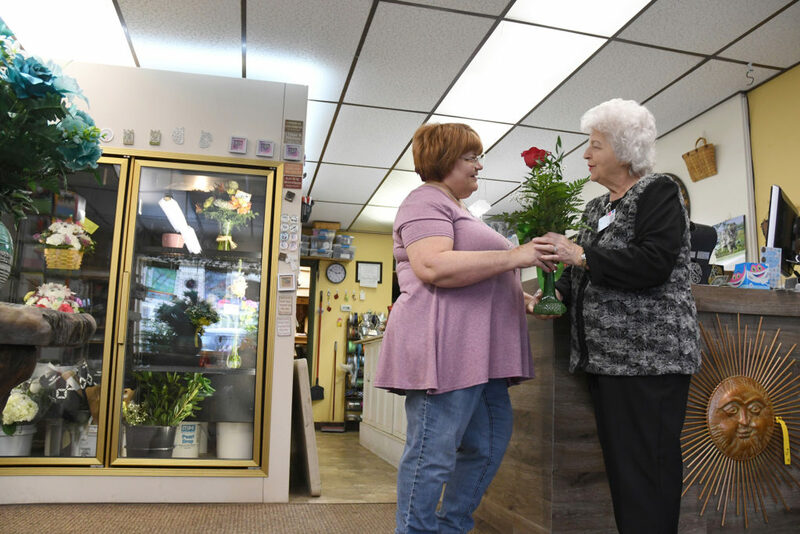 Roxanne Updergraff, a florist for Forget-Me-Not in Davidsville, hands Peggy Lichtenfels a Hospice Rose to take to a family as a last act of compassion for the patient.